Andrew Lawler is a contributing writer with Science and contributing editor for Archaeology with more than thirty years full-time experience as a journalist and author. His stories have also appeared in Smithsonian, National Geographic, Discover, Audubon, American Archaeology, Columbia Journalism Review, Slate, Orion, The Sun, The Washington Post, and The New York Times, as well as several foreign publications. He is the author of more than a thousand articles, and his work has appeared twice in The Best American Science and Nature Writing. He has twice won the Gene S. Stuart award for archaeology reporting, and was awarded the MIT Knight Science Journalism Fellowship (nine months) and the Hodson Trust-John Carter Brown Fellowship (two months research/two months writing). Simon & Schuster published Lawlers book, Why Did the Chicken Cross the World? 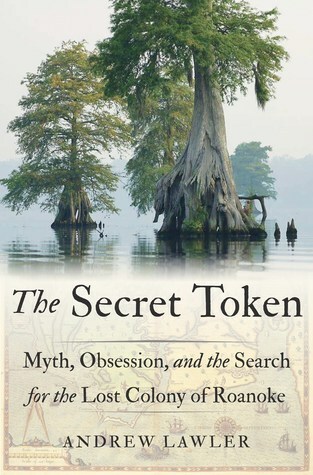 : The Epic Saga of the Bird that Powers Civilization, in December 2014, and Random House will publish his second book, The Secret Token: Myth, Obsession, and the Search for the Lost Colony of Roanoke, in June 2018.